Julius Maada Bio has called on all SLPP party members to open up dialogue within the party, in the interest of peace and unity. He made this appeal during a radio interview on the popular good governance programme – ‘Monologue’, in Freetown, last Saturday, 17th May. In his interview with David Tam Bayoh, Julius Maada Bio said that the SLPP has a moral obligation to the people of Sierra Leone, and as such, it is about time the party is united in peace. Bio said that he is willing to have dialogue with any SLPP member who has a grievance against him. “I am ready to sit on the table with anyone who has a grievance against me, so that we can dialogue in the interest of peace and unity within the party,” says Julius Maada Bio. When asked by David Tam Bayoh, what would be his message if he is in a room with SLPP national executive on the one hand and young people on the other hand, Bio said: “I will firstly admonish the young people that, they should desist from violence and from any attack on other party members whether verbal or personal. “They should respect the laws of Sierra Leone; and they should respect the elders within the party and abide by the constitution of the SLPP. “To the national executive, I will tell them that they have a moral obligation to leave their offices and go out in the country to talk to the people on the things that matter to them. “I will also advise them that they need to travel out of the country to the diaspora and engage with the SLPP members in the diaspora branches – whether it is in United Kingdom, United States, or Europe”. Julius Maada Bio used the opportunity to re-echo his criticism of the APC government on their recent political manipulation of a court decision, which gave both constituencies 05 and 015 to the ruling All Peoples’ Congress Party. He said that; you cannot have a constituency where the majority of people are represented by the votes of the minority, because that is not democracy. 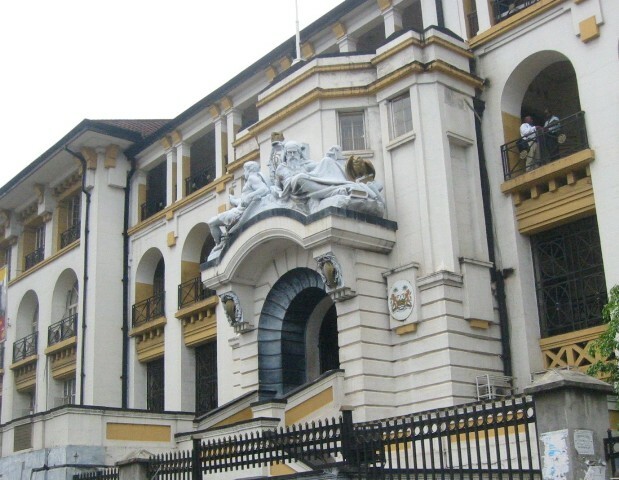 Asked if he did not think that the decision on the two constituencies was solely a court decision, rather than an APC government decision; Maada Bio responded that the court has been compromised by the APC government, as well as undermining the purpose of the courts, which is to represent fairness and justice in society. 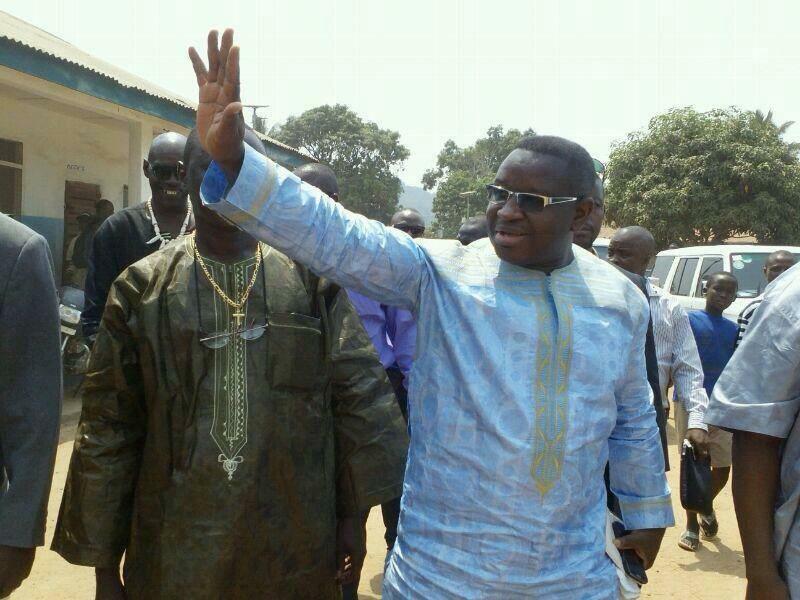 Julius Maada Bio also spoke about his recent open letter, addressed to President Koroma, on the widely condemned issue of third term or extension of presidency. When asked why he decided to write the letter, Bio told David Tam Bayoh that as a former Head of State and a political stakeholder, he has the moral obligation to advise the president and give out a position statement on such a very serious issue that involves the sacred constitution. He went on to state that he was adding his voice to the numerous voices of Sierra Leoneans, including the press and civil society organisations that opposes any third term or extension of the presidency. The deteriorating electricity situation in all the provincial cities except Makeni; the poor road conditions; the growing youth unemployment; the fight against corruption; the weakening of the Judiciary; the high incidence of diseases; the limited access to safe drinking water; the poor educational and health standards; the limited access to adequate and nutritious food; the poor conditions for our workforce; the growing land-grabbing propensity and the deprivation of the rural poor. At the conclusion of the radio interview, Julius Maada Bio expressed serious concern about the recently reported arrest of an artist in Kenema, believed to be an SLPP member, simply because he printed a t-shirt with the inscription- “After Gbagbo, Na U”. Julius Maada Bio said that, we cannot continue to live in a country in which certain group of people are told to assert their freedom of expression – with the slogan “After U na U” – whilst others are being arrested for exercising the same freedom of expression, just because of where they come from, and which political party they belong. “This is not democracy” he concluded. Julius Maada Bio is a former head of state of Sierra Leone; the SLPP party’s 2012 presidential election candidate; and a retired military Brigadier of the Sierra Leone Armed Forces. 1. 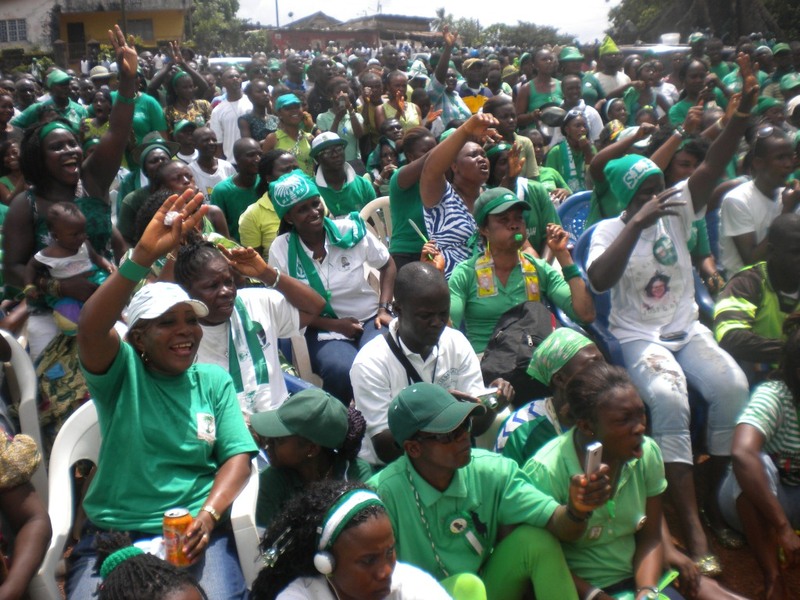 Make a public apology for promising the SLPP a victory in the 2012 election. 2. Issue a public apology for the violence and attacks by his thugs on SLPP members who do not support him. 3. Make an apology for his disregard for our constitution. 4. Acknowledge that he is not a presidential material, and his insistence on seeking re- election, though not barred by constitution, is the greatest source of division and conflict in the SLPP. 5. Accordingly, to do what his predecessor Solomon Berewa did and leave the flagbearer election to more matured, experienced, and accomplished candidates who appeal to the nation and have international respects as well. 6. Provide the party with the list of all his party thugs and supporters who have beaten up and terrorised people, as well as engaged in other anti-social conducts and lawlessness. 7. Sign a declaration that anymore violence and disruptive behaviour from his thugs and supporters would lead to an unspecified disciplinary action against himself. 8. Stop his thugs referring to SLPP members who have made a distinct contributions to the party and some of them are patrons who are seeking to lead the party to victory by 2018 as APC, as this is offensive. 9. More importantly, to acknowledge that he has an indefensible excess baggage, so despicable that he should not expect the SLPP to defend these verifiable criminal allegations, with the party having abundant presidential material who could win national elections. Bio addressing the aforementioned, would provide the basis for a dialogue, but not on his term. These are the party’s grievances: violence, abuse and low life rudeness from his supporters who have never been members of the SLPP, until Bio joined the SLPP. 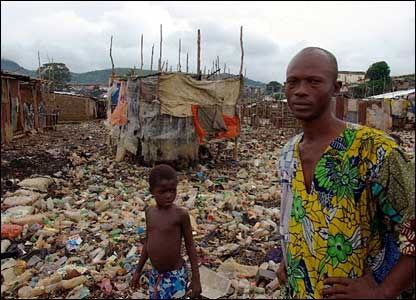 I just came back to the US within the past twenty four hours from a trip to some African countries, including Sierra Leone. It seems obvious that Maada Bio appears to be correct in his assessment of the current situation – both within his party and within the country of Sierra Leone. The infighting within his party has created a fragmented and weak opposition, unable to take any credible position on matters affecting the ordinary citizens. Though my interaction with people, especially the youths could not by any measure fulfill the conditions for a scientific poll, it is clear that a great majority of people I spoke with feel left out of the development process, and that the political parties are full of people (those in governance as well as those in the opposition) who seek only their own interests. Whether the SLPP as the main opposition party can change this perception, is yet to be seen. And as Bio stated, a dialogue within that party could be a stepping stone toward a functioning opposition party. On the issue of third term, I was surprised that it is not such a hot button issue in all quarters of the political spectrum. The fact that such an issue is now touted freely by some misguided elements in society without outright condemnation from the current leaders of the country and the opposition, is invariably an attack on the constitutional foundation of Sierra Leone’s democracy. Bio being the only formidable person in the opposition addressing this and other issues, speaks volumes, not only of the insufficient democratic credentials of the present political establishment, but also of the weakness of the opposition and other potential aspirants to national office. I hope Bio’s colleagues in his party take heed to his call for the good of the country. Democracy? What did Maada Bio know about democracy, when his thugs were beating people (his party members), because they disliked him? Is that democracy or freedom of speech? 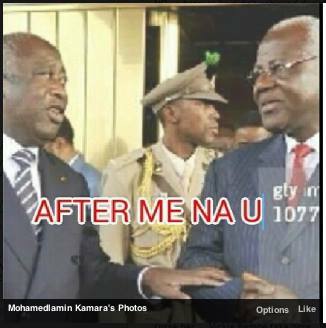 Personally I think SLPP can do better without Maada Bio. If Bio is supporting democracy, I think he should stay the hell off SLPP. He is nothing but bad news. A word for the wise: “IF you leave in a glass house, don’t throw stones”.